What's up with Vegetable Oil? After why we teach clients to be plant-based, one of the most common questions we get is why we teach cooking without added oils. After all, it is commonly said that vegetable oils like olive or canola oil are good for the heart. I’d like to note that I have nothing against fats in general. Fats are an essential macronutrient, and are an important part of a healthy diet. Like anything though, they’re best for us in a whole food form. Nuts, seeds, avocados, and most legumes all naturally contain fat and definitely belong in a healthy diet! Less than a year ago, I still thought high quantities of vegetable oils had a place in a healthy diet. I used them for cooking, in salad dressings, you name it. And why wouldn’t I think this? Most healthcare professionals tout the benefits of choosing vegetable oil. And any bottle of oil at the grocery store is likely to market itself as “heart healthy.” The evidence is pretty clear, right? Not quite. A lot of these claims probably stem from the fact that vegetable oils are healthier than animal fats. Healthier doesn’t always mean healthy though! The second source of confusion is probably due to studies about the mediterranean diet. As Dr. Michael Greger explains in this video, the mediterranean diet does include olive oil, but it also includes far more vegetables, nuts, whole grains, and legumes than the standard American diet. 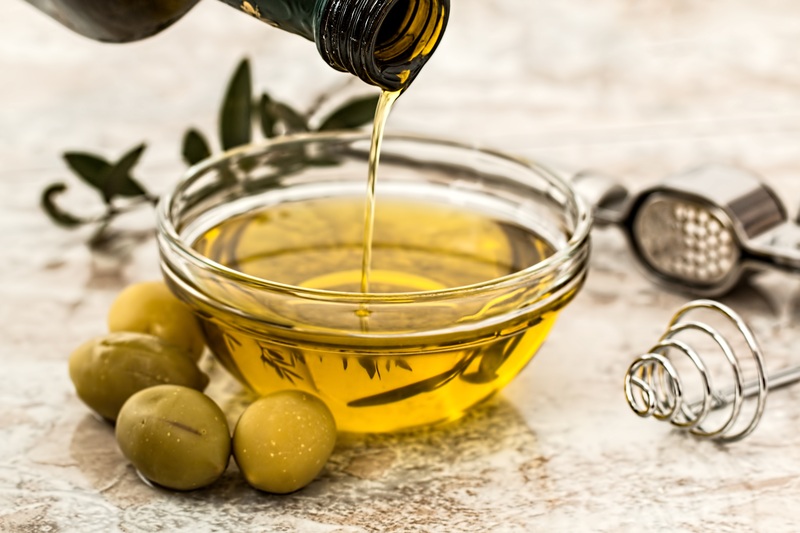 Those are likely the biggest sources of health improvements seen from a mediterranean diet, but somehow we’ve lost sight of that and only focused on the oil! A look at a few other studies examined in the video shows that the consumption of vegetable oils still has a negative effect on our arteries. A helpful analogy is to think of vegetable oil like sugar. Starting out, sugar comes from beets. However, by the time we’re done refining it to make the sweet crystalline stuff we all recognize, we’ve removed every part of the beet that was originally good for us. Oil is the same. It comes from foods that were originally healthy (olives, soybeans, etc) but have been stripped down until we’re left with a product that tastes good, but has damaging effects on our health. A secondary reason for teaching clients to cook without oil is weight control. A lot of people are looking to control or lost weight, and removing extra oils from the diet is a way to reduce calorie consumption without making someone feel any hungrier. That way, people get to eat the same volume of food (or more) and still reach their weight goals! In short, fat absolutely has a place in a healthy diet, but it needs to be in the form of unrefined plant foods! That way, we take in plenty of other nutrients with it and only get it in the quantities nature intended.